As February slips away, Spring is getting closer, which usually means baring a little more skin. Sleeveless shirts, shorts, and swim suites can make some people feel a little weary since the New Year’s Resolutions just started. Although, New Planet Beer Company doesn’t think anyone should have to sacrifice a good beer while staying true to their health and fitness goals. Finding a low calorie beer that tastes great, and doesn’t forfeit alcohol content, can be a daunting task. To lower the calorie content most brewers of light beer have to reduce the alcohol content. New Planet Beers have fewer calories and higher alcohol content than other similar beers. For example, Tread Lightly Ale contains 125 calories per 12 oz beer, and 14 grams of carbohydrates, while the average craft beer contains 150-200+ calories and 15-20g of carbs! Our gluten-free beers are also approximately 5% ABV. Most other low-calorie beers are below 4% ABV because the alcohol is replaced with water in order to lower the calorie content. All of our gluten-free beers are under 170 calories which means that anyone can enjoy New Planet Beer without worrying about the scale or the gluten. We even make it easy to keep track – all of the nutritional facts can be found on the side of any New Planet Beer bottle. We have the results from our customer survey. Thanks to everyone that participated. We appreciate all of the great feedback and we wanted to share some of the highlights. As a small, local company, it’s important to know what fans think and what they want so we can continue to improve and provide the best gluten-free beer possible. Here are the top three findings of our survey. 1. It’s all about the taste. When asked why people choose New Planet Gluten-Free Beer, over two-thirds responded that it was because of the taste. Just because a beer is gluten-free doesn’t mean that taste has to be compromised. Our pledge to our customers is to deliver a certified gluten-free beer without sacrificing taste. We are working diligently to ensure the same taste and quality is in all of our beers, including our newest product development – Off Grid Pale Ale. 2. What comes to mind. We rely on our fans to help get the word out about New Planet Beer. In our survey, half of the respondents said they heard about us through friends. About thirty percent said they first heard about us from other press and events. You can help spread the word of New Planet Beer by telling your friends and by informing us of any events and/or festivals that we should attend in the future. Feel free to send us a note, join our facebook page or follow us on twitter @newplanetbeer. The March 2010 issue of Men’s Journal Magazine included an article about the benefits of a gluten-free diet for athletes. Many blogs and testimonials claim that after switching to a gluten-free diet they were able to recover more quickly after exercise. The article suggests a shift in traditional thinking that athletes must carbo-load, before an event. As it states in the article, athletes, especially endurance athletes, need carbs to maintain their energy over long periods of physical exertion. However, it can be difficult for our digestive systems to break down gluten, causing digestion problems that can hinder the amount of energy we have ready for use. But gluten-free doesn’t mean athletes can’t carbo-load. Dr. Allan Lin took the Garmin-Transitions pro cycling team under his wing and had them switch from carbo- loading with pasta and bread to gluten-free carbohydrates such as quinoa, brown rice and corn. These carbs are easier to digest and thus left athletes with more energy and quicker recovery times. However, the athletes on the team are not strict gluten-free all of the time, just before and during their respective seasons. “Believe me, I drink plenty of beer in the off-season,” said Christian Vande Velde, the team leader of Garmin-Transitions. While this is not an option for all, especially those with celiac, it’s a clear example that even those not diagnosed with celiac may benefit from a gluten-free diet. 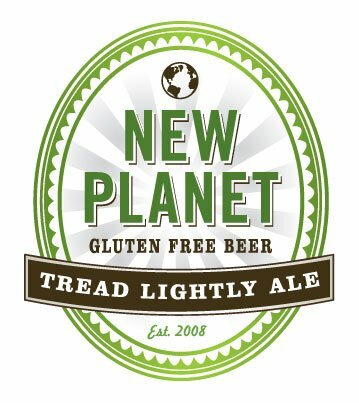 Now with New Planet Gluten-Free Beer as a beer option, active gluten-free people, with celiac and those without, don’t have to give up great tasting beer to evade gluten – in season or out. In fact, you have an additional beer to try in the New Year – Off Grid Pale Ale. If you are a gluten-free athlete, whether celiac or by choice, leave a comment below about the benefits you have had by going gluten-free.